Cut toilet paper rolls into rings and use the rings to make a ball that contains treats. 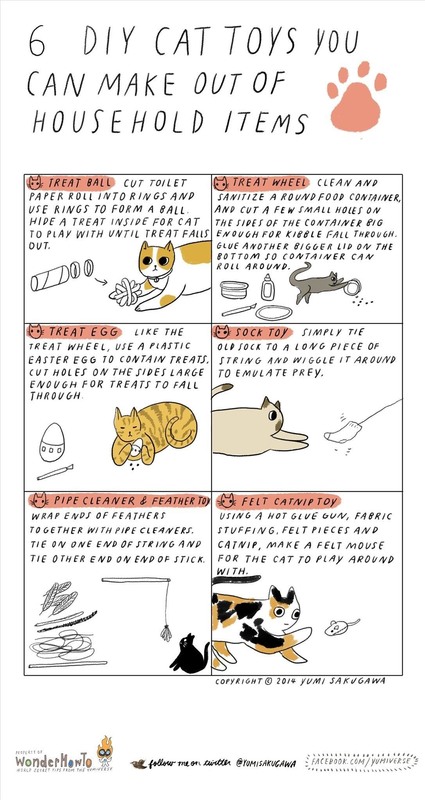 You can also use an X-Acto knife to cut holes on the sides of a plastic Easter egg or a round cream cheese container to create a toy that the cat can roll around on the floor to get treats out. More cat toy ideas listed below. Click on image to enlarge.